The Villa Saletta Rosé (rosato italiano) is a harmonious marriage of Sangiovese, Merlot and Cabernet Sauvignon grapes. The grapes are sent to the press for a period of brief low temperature skin contact, just eight to 12 hours. This process creates a must rich in aromatic precursors. After pressing, the must is placed in stainless steel fermentation tanks and held there for six months at a steady temperature of 61° F (16° C). 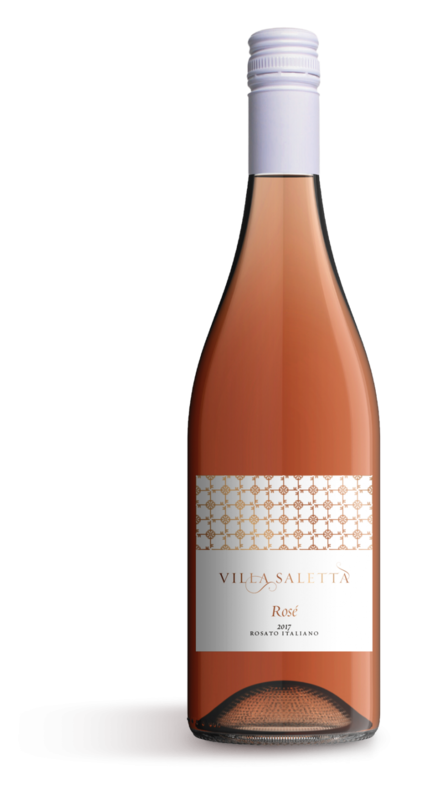 The Villa Saletta Rosé is fruity and supple. The meticulous blend of Sangiovese, Merlot and Cabernet Sauvignon grapes boasts a smooth, drinkable character that lends this wine a cult following among Rosé enthusiasts. Featuring a bright, cherry hue, the Rosé opens with scents of ripe red berries and minerals and ends with a dynamic balance of freshness, fruitiness and acid. It’s ideal as an aperitif and best served chilled between 45-50° F (8-10° C).